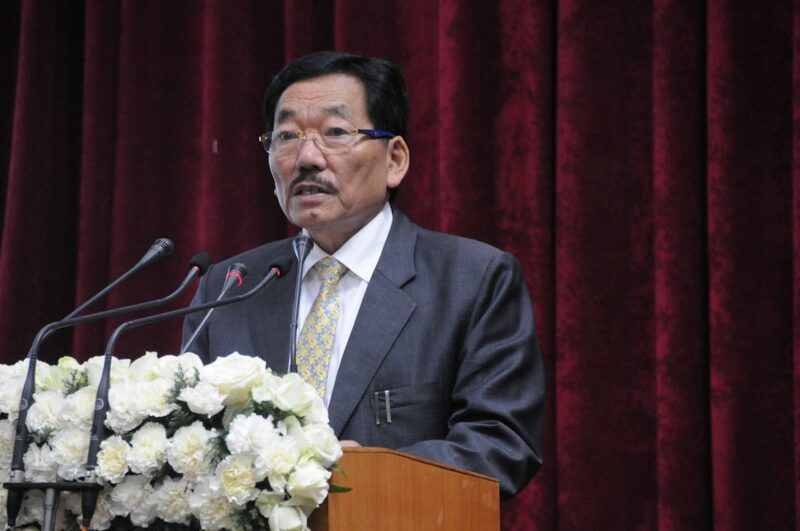 Sikkim Chief Minister Pawan Chamling on Thursday directed the Sikkim Democratic Front (SDF) party workers to abstain from any type of lobbying and internal conflicts ahead of the ensuing Assembly elections scheduled to be held next year. Chamling, who is also the party president said this while addressing the 38th foundation day celebration of Srijunga Yakthung Sakthing Phojumbo, a Limboo cultural society of Tharpu under Soreng-Chakung constituency in West district. He also urged the party workers not to lobby for tickets. All should work together to strengthen the party at all levels, he said. He also urged all not to pay heed to negative forces who are saying that change of government is needed just because it has grown old. Chamling further reiterated with all these years in governance, the SDF has grown in experience and is better equipped to handle the state of affairs of Sikkim. The Chief Minister also said that Limboo-Tamang communities would get reservation in the Assembly, asserting that no force can stop Limboo-Tamang seat reservation. Chamling also informed that all development-based demands submitted to him during his 32-day tour would be sanctioned by September 15.